A Peg board makes for easy and artsy yarn storage. This is a perfect solution for displaying and storing your yarn if you are a knitter. Put up a peg board right behind your workspace. This way you can keep the things you love and need at eye-level. Easy, isn't it? 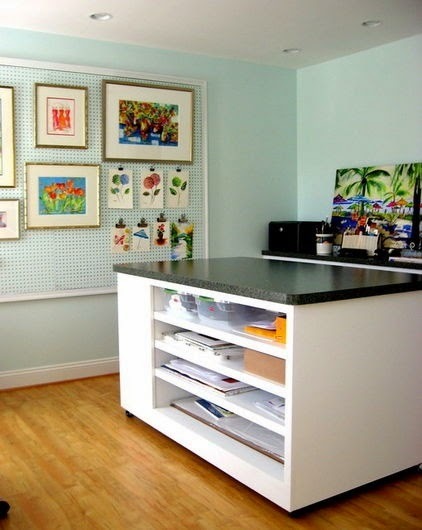 Put up shelves on the peg board wall and use them to hold papers and art supplies. This is especially helpful if you have kids who love to draw and do their project work. Put a peg board on the underside of your Office desk space for keeping wires from tangling up. In any case, if you feel you are running out of storage space, we are here to help! Contact us to know locations of our storage units in Abu Dhabi. Look up our website www.storageinabudhabi.com to know more.